If you are planning a move in the Port Charlotte, Florida area, contact Frank and Sons Moving and Storage! 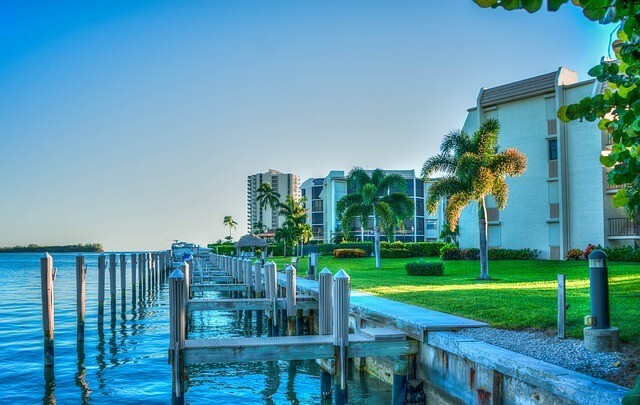 Centrally located between Fort Myers and Sarasota, Port Charlotte is one of the best places to live in the sunshine state to sail, golf, live and retire. Whether you are a homeowner moving to or away from Port Charlotte or a business moving across town, Frank and Sons has the resources, knowledge, experience and manpower to handle any move large or small. We stop at nothing to ensure your move in paradise is hassle free, safe and affordable! Moving Can be Difficult, We Make it Simple! Thousands of homeowners in Port Charlotte have entrusted Frank and Sons to effectively coordinate and execute successful moves. Frank and Sons provides full service and partial service moves. From packing your belongs and moving them from your pick-up address to your drop off location to simply moving your belongings, our moving and storage experts are trained in executing safe and effective moves treating your belongings with the care and attention they deserve. From start to finish your move is custom tailored to fit your needs including unpacking, additional stops and storage in a secure location. Open your doors on time or ahead of schedule! Whether you are relocating to a small office or an entire building, factory, remodeling, or building a hotel or timeshare, entrust Frank and Sons a renowned experienced company who can advise and coordinate your entire process. To be the best SW Florida commercial/industrial mover you must know exactly what customers want and expect. We have encountered business owners who enjoy being hands on in their move and those who prefer to concentrate on their businesses. The benefits of our SW Florida commercial moving reach far beyond simply loading and unloading some trucks. Comprehensive hotel, resort, time share and assisted living moving, installation and warehousing. Frank and Sons Moving and Storage provides comprehensive hotel, resort, time share and assisted living moving, installation and warehousing. Whether changing locations, remodeling or rebuilding, Frank and Sons Moving has the experience and extensive training, state of the art equipment and global partnership with Wheaton Worldwide to provide moving and warehousing services that meet your needs. Our professional staff works closely with owners, general managers and developers to stay on schedule and on budget, reducing downtime and increasing productivity. Our team will work with you to create a relocation plan that will get your property up and running again as soon as possible minimizing disruptions to guests and staff. Whatever your relocation requirements, Frank and Sons Moving and Storage has the solution to fit your needs. Contact us today.